Laman Seni 7. Photo: Vivian War. 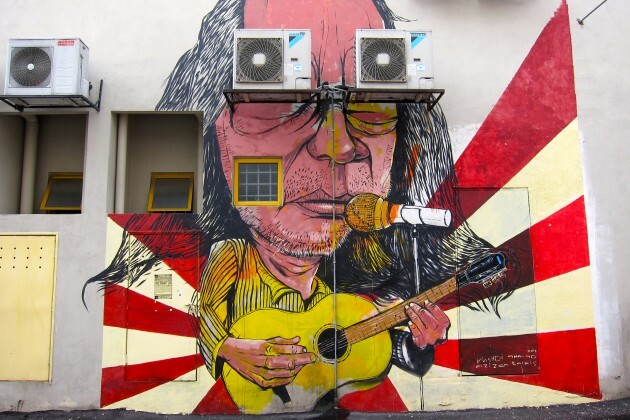 Street art is becoming increasingly popular in Malaysia. It’s not only a tourist attraction but also a great backdrop for locals to take their best selfies. 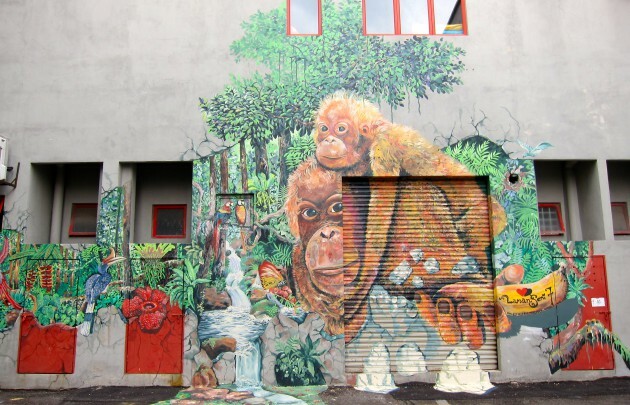 But while we immediately think of street art in Penang, and more recently Ipoh, it’s also become a focal point of Shah Alam. Last year, MBSA (Majilis Bandaraya Shah Alam) commissioned a project in Seksyen 2 of Shah Alam, Laman Seni. 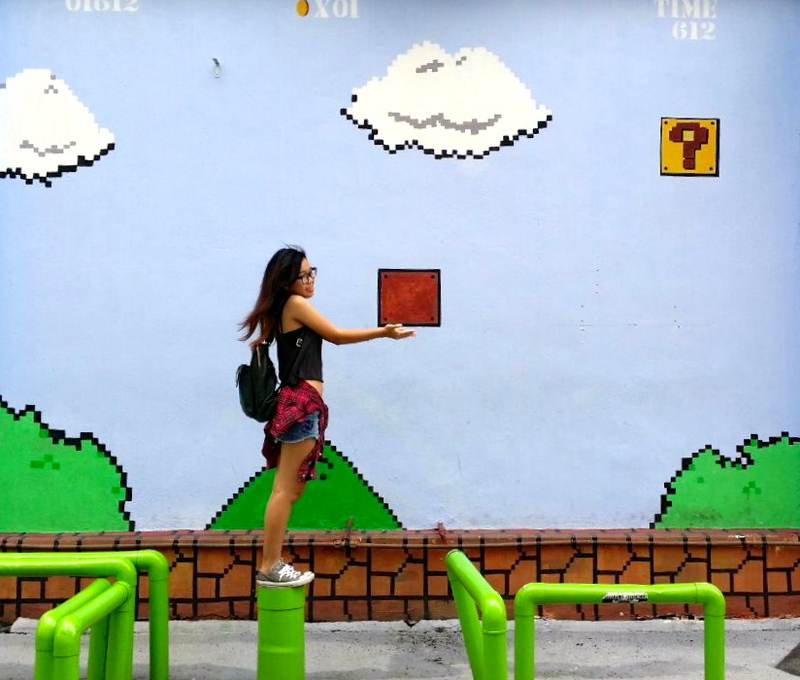 Organised by KNZNH Studio, this project turned various walls and lanes of the neighbourhood into colourful and playful murals in December last year. 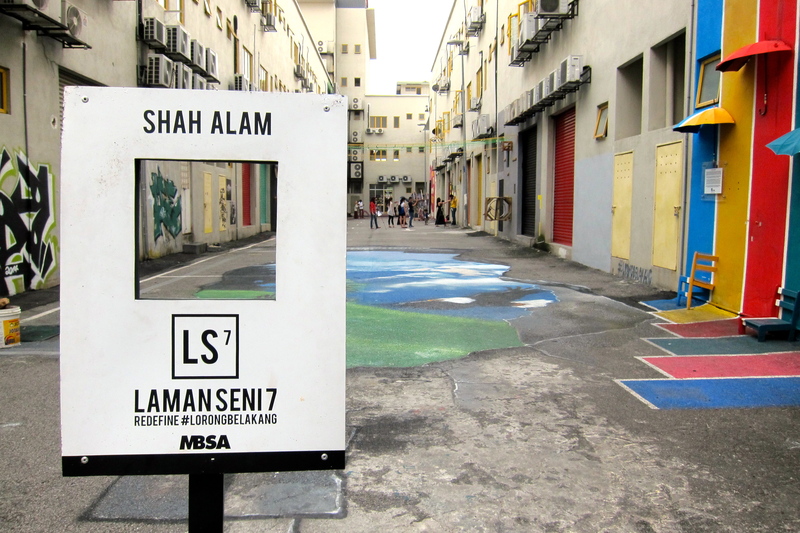 In June this year, the project continued with a sequel: Laman Seni 7. “The response from the public and community has been unbelievable. 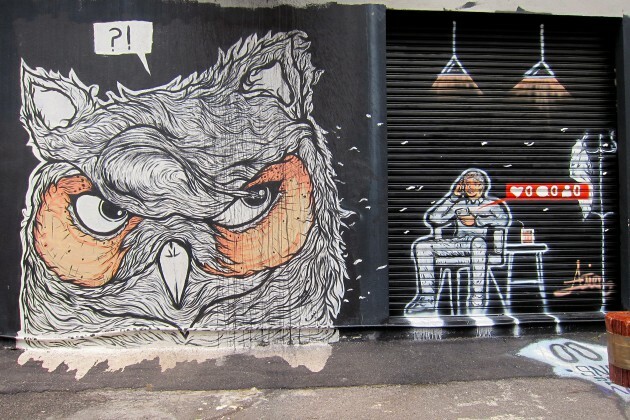 Laman Seni 7 has become viral in social media and since launching, the back lanes have managed to become a magnet that invite people to come and appreciate the arts,” says KNZNH Studio’s Creative Director Nur Farhanah Saffie. 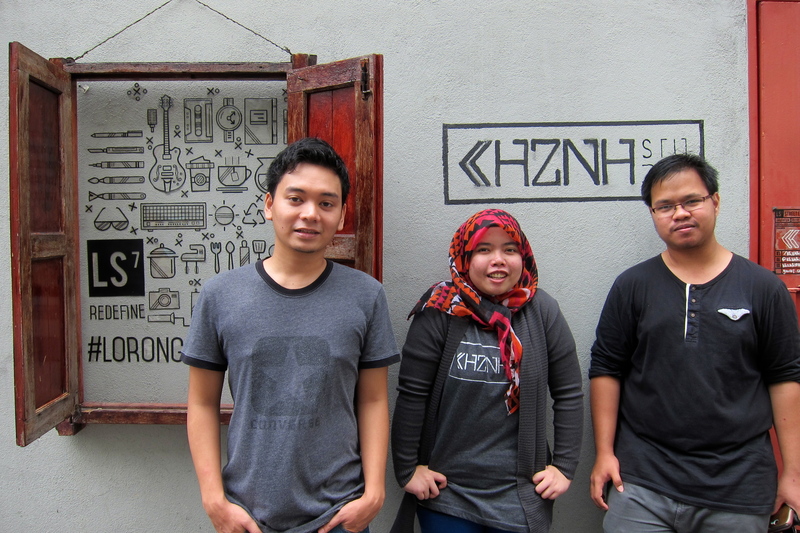 From left to right: Muhammad Afdhal Maarof, Nur Farhanah Saffie, Anwar Fader of KHZNH Studio. The major goal of MBSA, who fully funded the project, was to redefine any under-utilised back lanes and use them to showcase local talent, while also enhancing and improving urban conditions and quality of life. 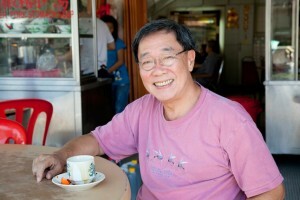 A variety of artists created the works, which were selected from a competition. 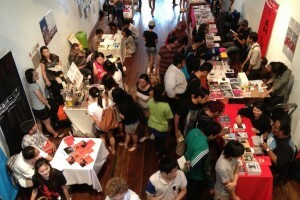 Many are students or young artists. 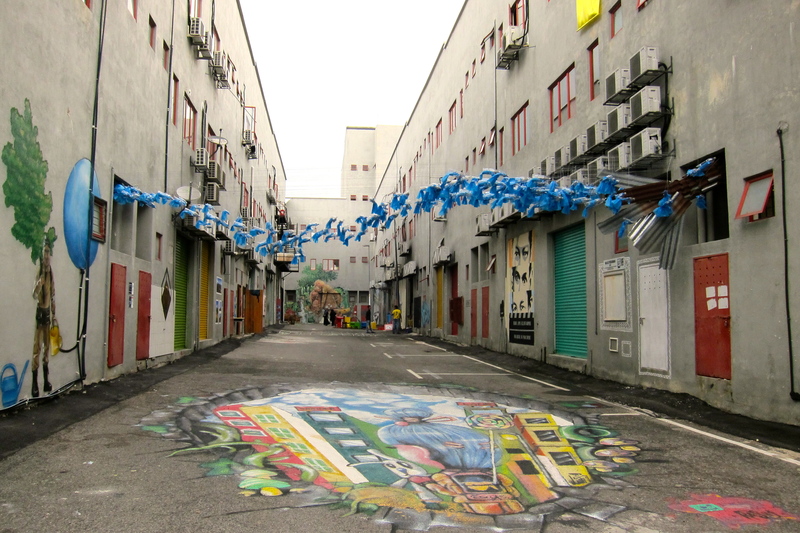 The murals range from 3D installations to murals that represent the Shah Alam community and “its role as an industrial city, a city of night life or as a green city.” There are a total of 34 street art works in Laman Seni 7, as well as about 10 pieces of art by local independent artists. “Suara Alam”. Artist: Mohd Amin Bin Hadarih. “Legends by Mario O”. 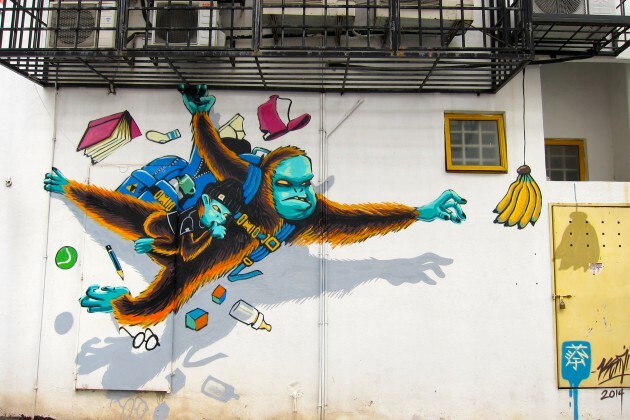 Artist: Mohd Azizi B Mohd Azhar. “Single Mother”. Artist: Kenji Chai. “Owl”. Artist: CNVS STORE (Afiq Afif YB Anuar). Potrait of Ramli Sarip. Artist: Karupiah Studio (Rushdi Ahmad & Azizan Talkis). 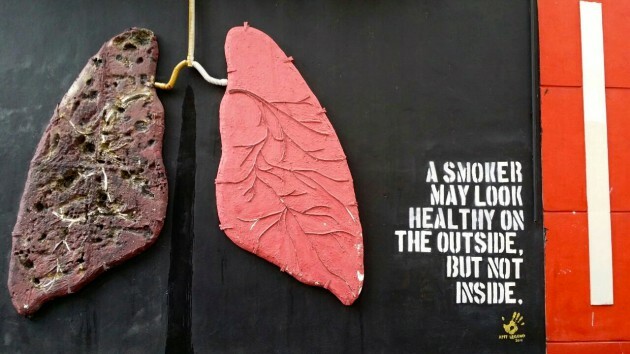 “Quit Smoking”. Artist: Syafiq Rasyid Bin Abdul Jalil. 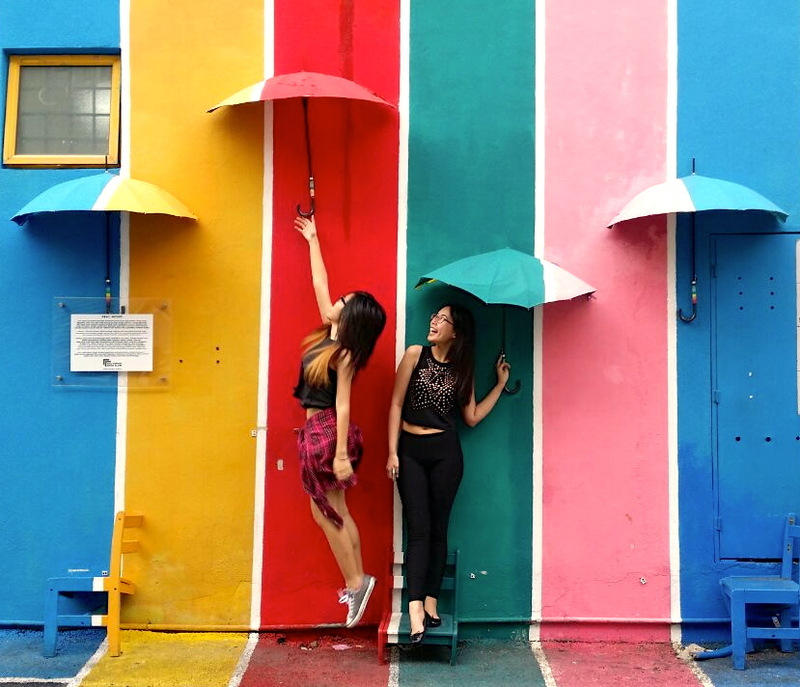 “Payung Prac-niture”. Artist: Mohd Fazry Bin A. Rahman. Interview and photos by Vivian War.